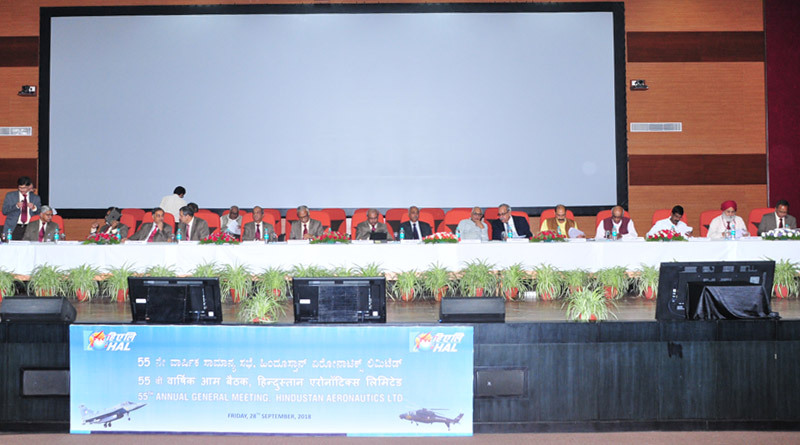 Bengaluru: Hindustan Aeronautics Limited (HAL) held its 55th Annual General Body Meeting of Shareholders at the new HAL Management Academy (HMA) campus at Bengaluru on 29 September 2018. The meeting was the first after listing. CMD, HAL, R Madhavan addressed the shareholders. He presented the performance highlights for the FY 2017-18 and discussed the future plans of the Company besides addressing the concerns of the shareholders. Madhavan acknowledged the trust and confidence of the shareholders and reiterated his commitment to pursue growth opportunities for the Company. He added that in spite of the challenges, the Company has achieved significant growth in revenue and profits. The Company recorded highest ever turnover of Rs. 18,28,386 Lakhs in comparison with the previous year turnover of Rs. 17,60,379 Lakhs. Profit Before Tax for the year was Rs. 3,32,284 Lakhs as against Rs.3,58,258 Lakhs in the previous year. The Profit After Tax (PAT) for the year was Rs. 2,07,041 Lakhs. 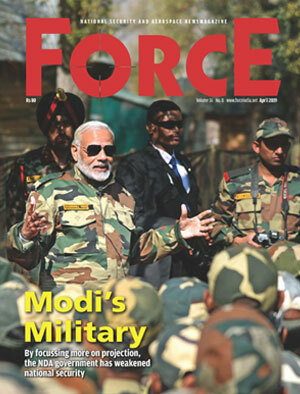 HAL produced 40 numbers of aircraft and helicopters including Su-30 MKI, LCA Tejas & Dornier Do-228 in fixed wing assets and ALH Dhruv & Cheetal Helicopters in rotary wing assets. In addition, HAL produced 105 new engines, overhauled 220 aircraft/ helicopters and 550 engines. Also 146 new aero-structures for space programmes were produced during the period.